A history of the Christmas Tree. Nobody is really sure when trees were first used as Christmas trees. It probably began about 1000 years ago in Northern Europe. Ancient inhabitants of northern Europe cut evergreen trees and planted them in boxes inside their houses in wintertime. The first documented use of a tree at Christmas and New Year celebrations is argued between the cities of Tallinn in Estonia and Riga in Latvia! Both claim that they had the first trees; Tallinn in 1441 and Riga in 1510. The evergreen tree was an ancient symbol of life in the midst of winter. Romans ….. Thanks to Celebrations Group and XYST Systems, Ashburton’s iconic Clock Tower has a new illumination feature. This LED digital light display featuring “RGB” technology produces a stunning computer generated light show and is the talk of the town. Being a software based control system allows reprogramming for a vast range of colour and display options to suit special occasions and events throughout the year. 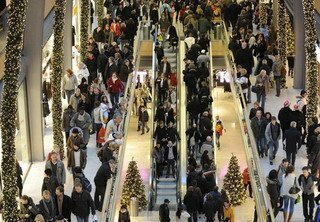 Retailers in New York know that attracting would-be shoppers away from their computers is vital in the battle for the Christmas retail dollar. 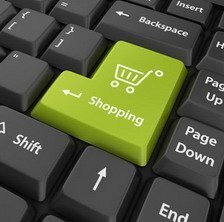 E-commerce may be the easy option for Christmas shopping but it will never replace the magic of being there and experiencing the Christmas buzz. Dressing up your retail environment for Christmas is more important than ever and nobody knows this better than the retail icons of New York. Whilst their budgets for Christmas decorations are something New Zealand retailers can only dream of. The message doesn’t change. Call the team at Celebrations and start your 2014 Christmas plan ….. 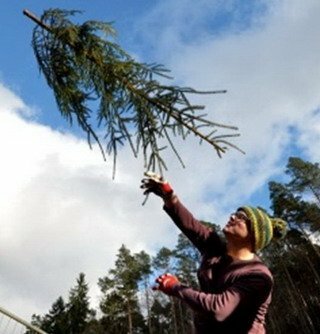 The people of Weidenthal, a small town in southern Germany, have found a cool way to make use of their old Christmas trees after the holiday season: they host the annual Christmas Tree Throwing World Championships. You don’t even need to wait for an invitation to take part in the event … just show up with your old tree – minus the decorations and lights – and see how far you can throw it. The trees eventually go into a giant bonfire.Here’s an idea for another post-Christmas event: the annual Credit-Card Throwing World Championships to see how far away you …..
Don’t expect to see Christmas lights, Christmas trees, or other Christmas decorations in one part of Berlin this year, even on private property, after officials in the Kreuzberg district banned the display of anything that celebrates the Christian holiday – because someone might be offended! The ban includes decorations on private property if they could be seen by the public, according to reports. 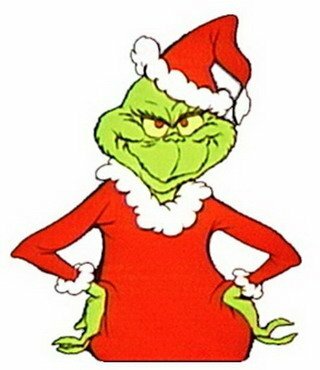 And the only exception reportedly will be a location the government would designate for a Christmas tree. This isn’t the first time that Christmas festivities ….. Looking for an iconic outdoor Christmas centrepiece to promote you brand? Giant“Olympia Pine” Christmas trees are Exclusive to Celebrations Group. 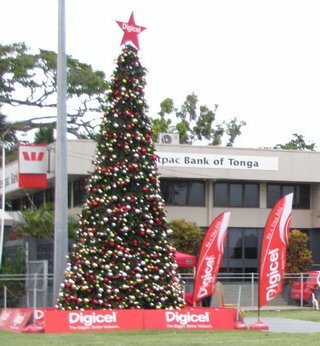 These “Olympia Pine” Christmas trees range from 5 to 15 metres and beyond and are an ideal way to involve you brand with Christmas in your community. Constructed on a conical frame of lightweight steel these trees are extremely safe & stable while still being simple to construct and dismantle with all branches being interchangeable so there is no need to worry about which branch fits where. These giant Christmas trees are ideal for outdoor Christmas in New Zealand, Australia and the Pacific. The branch The branch fronds are made from ….. Ordered Your Christmas Decorations Yet? In 12 weeks time, most commercial Christmas decorations will be up or in the process of being installed. If you haven’t got your Christmas orders in you has better move fast. Every year we have disappointed customers who left it too late and didn’t get the decorations they needed.  At Celebrations Group we work closely with our supplier factories to do our very best to turn your Christmas decoration vision into reality. But you need to act now. Manufacturing plants are now running at peak capacity and supplies of raw materials start to dry up. It is commonly understood that almost all …..
With Christmas budgets squeezed, getting the most out of Christmas decorations is the number one priority. Fuzzwire CEO Mark Lean explains: “I’ve noticed, particularly last year, that client’s expectations are increasingly higher. Landlords have to look after the commercial side, the brand and their KPIs, so Christmas decorations and displays have got to contribute to driving revenue by increasing footfall and dwell time as well as having the wow factor – it’s got to be imaginative while ticking the commercial boxes. Expectations are higher since the rise of online and because attracting consumers is more of a challenge, landlords and managers …..
Christmas decorations are a vital part of any shopping centre’s seasonal repertoire, creating a warm, festive atmosphere, bringing in and entertaining children and their families and getting people in the mood to shop, boosting those all important retail sales. 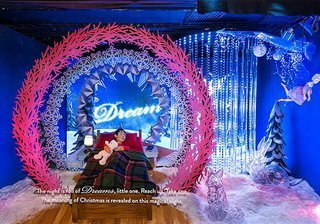 But with an endless choice of colours, patterns, materials and designs, choosing the right Christmas display for your mall, and for your customers, can be a daunting and time-consuming task. The findings of a survey from retail Media specialist, Mood Media, underlines the importance of creating a welcoming environment, revealing that when shopping, people treasure decorative displays, festive music and other …..